People often ask why any adult would need a diet providing more than 5 to 6 percent of calories from protein. I had several questions about this after I posted my recent article about protein in vegan diets. After all, human breast milk is around 6 percent protein and it supports health during the fastest period of growth of the entire lifecycle. How could adults need a more protein dense diet than an infant? Unless you’re on a mission to gain weight, you can’t eat quite as enthusiastically as the average one-month-old. A young infant needs around 9 grams of protein per day and 500 calories. A 135-pound vegan woman may need about 6 times more protein than an infant, but only around 4 to 4 ½ times more calories. Obviously, her diet needs to be more protein dense than the baby’s diet. A person who is very physically active and eating a high calorie diet will meet protein needs on a diet that is less protein dense. In contrast, if you are eating a low-calorie diet for weight control, you’ll need to pack more protein into fewer calories, which means you need a more protein dense diet. As a result, protein density of optimal diets varies quite a bit among individuals. Depending on calorie intake, vegan adults generally need diets that are between 9 and 12 percent protein to meet recommended intakes. The number may be somewhat higher for those who are dieting. It’s not the least bit difficult to meet protein needs on a vegan diet. 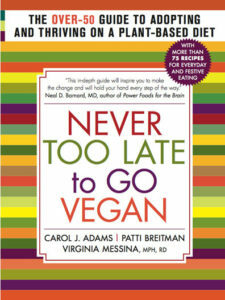 Vegans who are consuming enough calories and eating a variety of foods including legumes will meet requirements with ease. But for adults, diets providing only 6 percent protein are likely to fall short. I think a bit more analysis might be of interest here. One thing in particular that strikes me is that maybe measuring protein needs per gram of body weight might be a good approximation, but not the best we can do. Perhaps protein needs are not quite linearly related to body weight. We know that calorie needs are not linearly related to body weight – looking both within our species and comparing different species. Smaller individuals generally need more calories per kilogram of body weight than do large individuals. Clearly growth rates have a strong effect on protein needs too, and so a baby might be expected to have higher protein needs than older individuals. It is when you look between species though that you can clearly see the relationship between protein needs and growth rate. Human breast milk may be less than 6% protein (measured in terms of calories), but whole cows milk is a little over 20% protein, as is also true for goat milk and sheep milk, according to the USDA database. Cows, goats, and sheep all grow much faster than humans do. A human baby might take 140 days to double in body weight. A nursing calf might double in body weight in only 36 days – nearly four times faster than a human. Cows milk has nearly 4 times as much protein as human milk does, and correlated with this, their babies grown nearly 4 times as fast. Chickens are another example. Chickens and birds in general grow much faster than cows do, and chicken eggs have 35% of their calories from protein. What is interesting though is for chickens and cows, the nutrition they get from their mother (i.e. milk and egg white/yolk) is much higher in protein then the food they get when they are fully grown. In humans, the opposite is true. All of us who started out being breast fed got less than 6% protein when babies, and now most of us get 10-20% protein. When I give my talks, I'm still going to recommend people have 10-15% of their calories come from protein just to be conservative, but I am interested in learning more about this, and what effects – negative and positive – might occur if people get lower levels of balanced protein. Thanks for these comments, Peter. I don't like to use comparisons across species when talking about nutrient needs since there are so many physiological differences. We made some bad assumptions about protein for years based on animal studies. Humans do grow much more slowly than other animals which affects our protein needs (and the composition of human breast milk). We also live longer which impacts overall nutrition throughout the lifecycle. Protein requirements are actually tied to lean body mass, which is why people who are overweight–ie, have more body fat–have lower protein needs proportional to their weight. That's why the calculations are based on ideal body weight rather than actual. Anyway, it's so easy to get enough protein on a vegan diet that it seems like we should aim for the level that is safe based on current knowledge–and it sounds like that's what you're doing. So you're saying that protein needs for a person are relatively fixed – I need X grams today whether I exercise or not, whether I eat a lot or not? This is something I've always wondered about nutrients in general. For example, does an athlete who goes through twice as many calories as me need twice as much B12? Are there nutrients which have a fixed need and others that increase proportionally with intake? If most nutrients have these fixed needs, by the way, it sounds like it'd be way easier for athletes to meet requirements, since they're eating more and not needing more except for total calories. The requirements for some nutrients seem to be generally fixed–although there is a range of requirements and the RDAs aim to cover 97% of the population. Other nutrients are definitely tied to calorie intake, especially those–some of the B-vitamins–that are needed to metabolism carbohydrate, protein and fat. The assumption is that people who are eating more in general to meet higher calorie needs will automatically get enough of those nutrients since they're widely available in the food supply. Protein requirements are higher in people who eat more calories since those people tend to be bigger overall with more muscle. They wouldn't be higher for people who are eating more than they need to and are gaining fat, though. But they seem to be higher for people who are gaining muscle. And they may be higher for people on weight loss diets. So yes–there are lots of considerations and variables and, again, the RDAs are set at high enough levels to meet most needs. I am thoroughly enjoying your blog so far. Very informative. 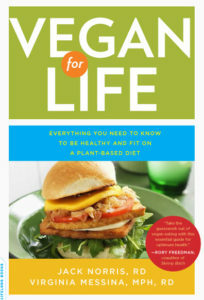 Although I am not a vegan, I would call myself (as on the Oprah show) Vegan-ish. I try my best to avoid animal products but I still allow organic cheese, butter, yogurt, and eggs occasionally. I also would not ever completely give up meat, although it's rare that I eat it. The more I learn, the more I understand the benefits of a vegan lifestyle and I appreciate your stance on the matter in your about me section. 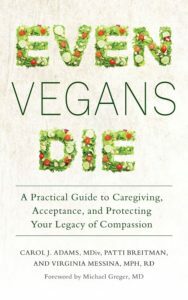 I'm very happy if my blog is helpful to both vegans and "vegan-ish" people! I have found getting enough protein to be such a non-issue. It is a bit amazing how dominant that topic is. I don't think it deserves the attention it gets. I think part of that copious attention should go to calcium and preventing osteoporosis. To get the high amounts of recommended calcium ( which always seem to be going up ) you have to eat large amounts of the vegan foods that are rich in calcium…..and those foods aren't easy/comfortable to digest in those quantities. To be fair, carnists also have trouble meeting these recommendations and carnists also have to take supplements to do it. I agree that calcium is the much bigger issue. Protein is only an issue if people aren't eating legumes–and some vegans don't realize that they need to eat these foods because they're convinced that people automatically will get enough protein from plant foods whether or not they include some higher protein foods in meals. So how many servings of legumes/day would you suggest? My own thoughts are that calcium needs are overblown to sell more milk. Osteoporosis doesn’t happen in cultures that don’t eat meat and drink milk, so why is calcium intake such a big deal? I don’t think the recommended intake of calcium differs that much from the 1000 mg/day I see here in the West. Micronutrient Intake in China”. In this document the recommended intake of calcium in China is 800mg/day. Excellent post, as always! I have one question: I'm just reading Robert Cheeke's book "Vegan Bodybuilding & Fitness". He thinks that many vegans do not eat enough protein to "maintain a healthy looking build". I think when some people (especially men) become vegan, they eat enough calories (they have plenty of energy) but quite low protein and end up losing muscle mass. Enough protein to still feel healthy but not enough to maintain all muscle mass. Does that make sense? Robert's book is on my To Read list. There's lots of debate about protein needs of body builders, but the American College of Sports Medicine says that vegan body builders could need between 1.3 and 1.8 grams of protein per kilogram of body weight which is 0.6 to 0.8 per pound. Compared to the 0.4 to 0.45 per pound recommended for non-body builders, it's a pretty big difference. A 170-pound male who isn't lifting weight would need 68-76 grams of protein and one who is building muscle might need as much as 102 to 136 grams of protein. But if he's consuming 3400 calories, it's still only 12 to 16% protein. It takes a little bit of effort to eat a vegan diet that is that high in protein, but it's doable. 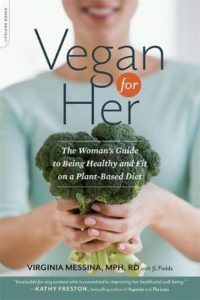 I'm no expert but this statement certainly seems true: "Vegans who are consuming enough calories and eating a variety of foods including legumes will meet requirements with ease." In my experience, the people who have "failed" as vegans by inadequate protein intake were people who did not eat enough calories (they "went vegan" to lose weight but instead of actually going vegan they just didn't eat) or people who went raw vegan and didn't consume many legumes. And one of them actually had any blood tests done. They just "got tired" and a blamed lack of protein. It could have been any number of things that caused their lethargy, but the main thing was that they did not eat a variety of vegan foods including legumes. I know–that's really all it takes: adequate calories plus a few servings of legumes. I think you're right that people who fail on vegan diets are often simply not eating enough, or at least not enough variety. To avoid having to consume copious amounts of high fibre plant food for protein I think most bodybuilders would (or should) supplement with protein shakes. It makes their job a great deal easier. It's definitely an easy way to give protein intake a boost. And I think you're right that a lot of body builders use them. Since so many people come to veganism wanting to lose weight, there should be some good advice somewhere on how to eat a balanced vegan calorie-reduced diet. If protein requirements require a little more planning to reach, that should be widely known. There are a few books out there tailored to the calorie-reduced crowd (thinking Neal Barnard), but they are very low fat and the recipes aren't anything to write home about. Okay…I get it: eat mostly whole foods vegan with adequate calories to maintain your body weight and you're golden. Eat less calories to intentionally lose weight, and you may have some homework to do to lose weight healthfully. Linda, you're right. And that's one reason why it's important to calculate protein needs based on ideal body weight rather than a percent of calories. And as we talked about on facebook, there is evidence that boosting protein intake is important during weight loss. So for people on low-calorie diets, this can present a little bit of a challenge. I used the Livestrong.com nutritional tracker for a few days and it seems I am consistently getting way more protein than is necessary. I do not try to get protein, but if I have one serving of seitan, that seems to blow the numbers out of the water. Isn't the issue have more to do with lysine, rather than protein? When I look at the numbers for lysine, that does become an issue. This is a little bit of an interesting issue because seitan is really high in protein but not especially high in lysine. So it can give a little bit of a false reading on protein, I suppose. If you were getting most of your protein from seitan, it's possible to meet needs without getting enough lysine. That's why legumes are essential even if you have lots of protein from other sources. My husband and I went mostly vegan (still a bit of dairy, egg, and fish, but not much) last year, a few months before getting back into the gym. I had lost 10 pounds due to stress, but have been astonished to find myself gaining muscle mass as never before (almost 5 pounds so far- used to take me a year to gain a pound), without any high protein shakes or red meat. I'm a tall and very thin (BMI 20, but I look thinner) 40-year-old female, and gaining healthy mass has always been difficult. A "veganish" diet seems kinder to my digestion, and seems to be making the weight gain easier. The protein is no problem- I soak and cook two kinds of beans every week-end for use in recipes, with a lentil curry or a stir-fry with tofu as well during the week. Studying Indian and East Asian vegetarian cuisine and using similar bean-grain proportions (with huge amounts of vegetables) has helped tremendously. Nuts for snacks have helped, too. Great column, as always, and I also learned a lot from the comments. I've been vegan for 15 years now, and the only time I consciously watched my protein consumption was during pregnancy. I was lucky to find a vegan nutritionist who recommended I mix up the sources of protein in my diet by incorporating more beans in meals (I was eating a lot of tofu and tempeh at the time) and snacking on nuts. It worked well for me, and I had a healthy baby girl (who's now 5). Hi Ginny, I find very informative your blog, its been a short time since I discover it. I live in Mexico, it is difficult to find information on vegan diets or doctors who would approve them here. I was wondering if you are willing to offer your services as a specialist in vegan nutricion, via e-mail or skype for vegans abroad. I would like to know if I am doing it right or if I have to tweak my diet, the thing is that in Mexico we cannot find many supplements and dairy/meat alternatives there are in the USA. Thanks for all the valuble information you share in your blog. Excellent post, as always Ginny. I just thought I'd chip in to say that another issue for vegan (and non-vegan) bodybuilders is that a common technique for gaining weight is simply to cram in calories that are fairly devoid of nutrients other than energy from fat, carbs, or protein. As you mention the needs for some minerals/vitamins/phytonutrients etc. may be fairly fixed in some cases but there's an increased need for some B vits to metabolise food, as well as a handful of other nutrients. If athletes and highly energetic people(!) are eating a lot of 'empty calories each day to bulk up then this can be an issue, especially if glycogen-loading with refined grains such as white rice, white pasta, and white bread. I'm not saying these can't be helpful in such a calorie-intensive diet, just that they are generally devoid of the B vits you'd find in the wholegrain versions and these might need adding in either through other nutrient-dense foods or a supplement. As Robert says, protein powders, especially ones where there are added vits and mins can be a great way of adding calories and nutrients rather than just bingeing on calorific foods! what would be your advice on this: I have tried soaking beans but still it is incredibly painful for me to digest beans(still also nuts). I do not want to go the route of seiten or tempeh or any soy products(other than endame-(sp? ), since I do not trust what is available here in the US to be free of gmo's. will i still be insufficient in protein? I do not feel my energy to be lacking at all. I have been vegan since Sept 2010, initially because of stomach digestion issues(which seem to have cleared up when I pinpointed lactose, beans and nuts to be the issue). I have never seen non-organic tempeh in a store in the US. Soy foods labeled organic are highly unlikely to have GMOs. Have you tried bean purees? Or using a slow cooker to cook your beans? Both of those methods tend to reduce bean-related gassiness. You could also try sprouted beans. You're saying pretty much what the 80-10-10 raw vegans do, who eat nothing but large quantities of fresh ripe whole fruit plus plenty of greens. They have a strong focus on athleticism and making sure to eat PLENTY, which easily ensures there are sufficient macro- and micro-nutrients in the diet. As you say, "A person who is very physically active and eating a high calorie diet will meet protein needs on a diet that is less protein dense." As vegans (or any humans!) go, I'd say they're the ones to emulate: they abound with glowing health and it seems that as a group they are overwhelmingly athletically fit – and they are built like it, too. I feel best when I’m getting 60g+ of protein a day, which is a bit higher than the 9-12% or 10-15% recommendation when I’m dieting (when I strive to get at least 17% calories from protein). So I make a pointed effort to plan all of my meals around the legume and vegetables and use starches and added fats to round out my calorie requirements. I don’t think this is difficult, per se, but I think that dieting women (and maybe also just petite women) in particular need to pay more attention to protein than other parts of the population, whether they are vegan or not. Thanks for this, Ginny. 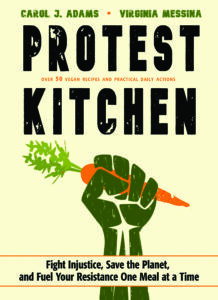 Your co-author, Jack Norris, has written a lot about how people crave food that is satisfying to them. What is great about you and Jack is that you want to expand the number of happy, healthy, satisfied vegans, rather than just make current vegans feel better about themselves. Thanks for the article. I was just wondering, if you are eating a high carb low fat 801010 style raw vegan diet, do you still require beans to get enough protein? I worked out in chronometer that if I eat 3000+ calories a day of fruits and salads and some nuts I can get enough protein and all the other RDAs of vitamins/minerals but this is not sustainable for me unless I am very very active (as I start to get a bit chubby) and as I am studying for long hours in the day and very busy it can be challenging for me. I am wondering if I need to try a 95% raw diet that is about 2000-2500 calories and add in some quinoa and maybe some beans? How much would be necessary? I don’t want to eat too much because beans give me an upset stomach and I find them annoying to prepare – soaking etc. I don’t like tinned beans as they have too much salt. Jan, I recommend at least 2 servings of legumes per day for vegans, with a serving being 1/2 cup cooked beans, 2 tbsp peanut butter or 1/4 cup peanuts, or 1/2 cup tofu, tempeh, etc. You could replace one of those servings with one cup of cooked quinoa. But a 2500 calorie intake suggests a greater muscle mass or more physical activity, and you may need more like 3 servings of legumes per day for optimal protein intake. Thanks for your reply Ginny. I will try that!